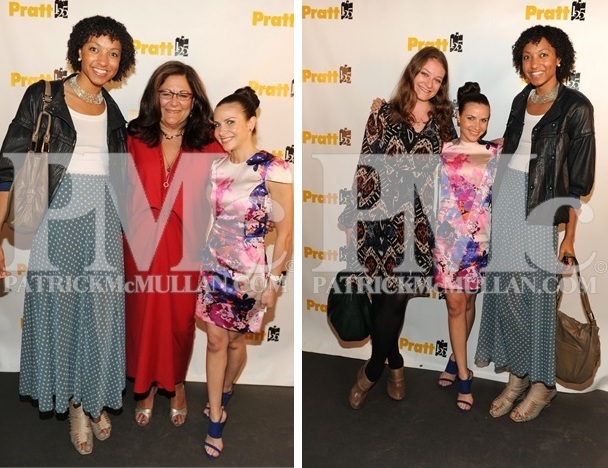 On April 26, Pratt Institute's 2012 Student Fashion Show was held at Center548 in Chelsea. The night began with a video tribute to fashion luminary, Fern Mallis, the 2012 Pratt Fashion Show lifetime achievement award honoree. 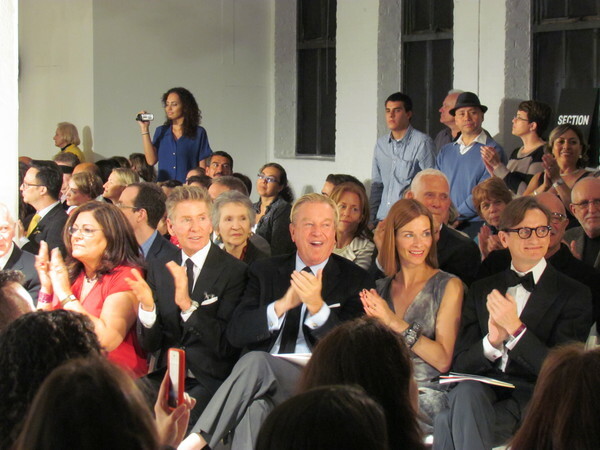 The tribute captured the thoughts of many prominent designers on Mallis' career, her deep impact on the fashion industry, and their hopes for her future endeavors. Designer Jeffery Banks felt the award was more aptly titled a "half-life achievement award" because he wouldn't dare encourage any thoughts of retirement. "There is so much more that we are going to see from Fern," said Banks. "There's so many worlds that she hasn't explored yet." The iconic Calvin Klein presented the lifetime achievement award. While Mallis undoubtedly shone in an attention getting red midi-dress that evening, she was by no means the only star of the night. The lights went down and models began strutting down an X-shaped runway; the audience was then privy to inspiring collections from 17 of Pratt's most talented graduating seniors- the future class of fashion. After the showcase, the night culminated with a cocktail reception at the Dream Hotel where guests had a chance to mingle with the young designers and Mallis. You can see all of the looks presented at Pratt's Annual Student Fashion show here. What do you think of the looks pictured above??? Do you have any favorite pieces? What is the craziest thing you are willing to wear in public? Leave your comments below. I probably wouldn't wear any of the clothes featured above, maybe the shirt with the peace sign on the back. Thank you! I might not wear them for everyday, but on the runway or in a photo shoot, these clothes are fun! Awesome images Helene, and a fantastic write-up as usual! I am loving the skirt and especially the necklace, where'd you get it?